Emmys 2017: How to watch Emmy Awards online via CBS stream and on TV details are available here. It is going to air today, September 17, 2017, at 8 pm ET or 5 pm PT on CBS. Tonight is the big celebration night for the world of Entertainment. The host for the year is Stephen Colbert. Drama categories are going to create news this time. TV series like Downton Abbey and Game of Thrones, which have a loyal fan following, aren’t on the list this time. It’s because the former ended in 2015 and the latter didn’t release within the eligibility time period. Twin Peaks has suffered the same situation and it will only be eligible for the 2018 awards. Thus, new shows like Stranger Things and Westworld were able to garner a big list of nominations to their names. Stranger Things has got 18 nominations while Westworld and Saturday Night Live (SNL) have tied with most number – 22. The Best Drama Series category includes five first-time nominees including Westworld, Stranger Things, The Handmaid’s Tale, This is Us, and The Crown. The recurring series in the list is Better Call Saul and House of Cards. And it is an Emmy record. In the limited series category, FX’s Feud: Bette and Joan have got eighteen nominations. Big Little Lies (HBO), Fargo, and The Night Of are following it with 16, 16, and 13 nominations. In the Outstanding Lead Actress in a Limited Series or Movie category, Big Little Lies co-stars Nicole Kidman and Reese Witherspoon are at the top with Feud co-stars Jessica Lange and Susan Sarandon. Coming to comedy categories, there are usual favorites like Veep and Modern Family. Donald Glover’s Atlanta has entered in the list with its first season. The Emmy award ceremony will take place at the Microsoft Theater in Los Angeles. The Emmys start time is 8 pm ET on Sunday and will be streamed live on CBS. You will be required to have a subscription for CBS All Access. Then only, you will be able to watch the show online. However, there is a free trial for new users. If you want to catch up with the live updates of Emmys red carpet, it will be available with E!. It will air Live From the Red Carpet at 6 pm ET on the E! YouTube channel. 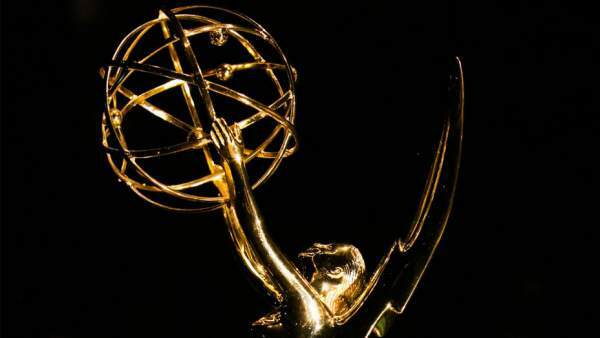 The complete list of winners of Emmy Awards will be updated here. Netflix, Amazon, and Hulu have picked up a collective 125 nominations. Emmy Awards 2016 Winners List: Check Who Won 68th Emmys?